Many different companies have issued their own wargaming magazine down through the years. Some, like 'The General' from Avalon Hill, were just extra scenarios and write ups about their own company games. Other wargaming magazines were about the hobby as a whole. Many of these magazines came with a game. I am not sure why, but a lot of the times it has seemed that gamers looked down upon magazine wargames. It has never made sense to me. 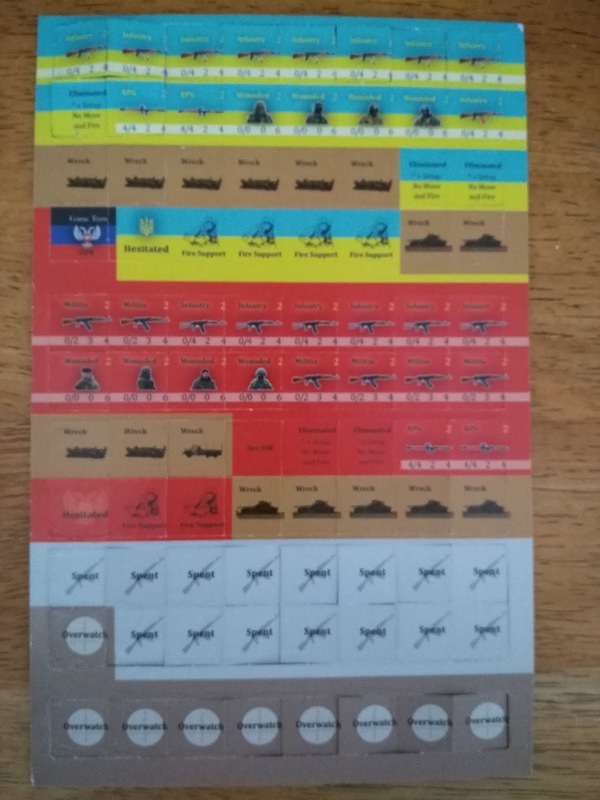 A lot of the magazine wargames were designed by the same people who gave us boxed games. I went out of my way to buy a bunch of the magazine wargames I no longer had when I got back into board wargaming about fifteen years ago. 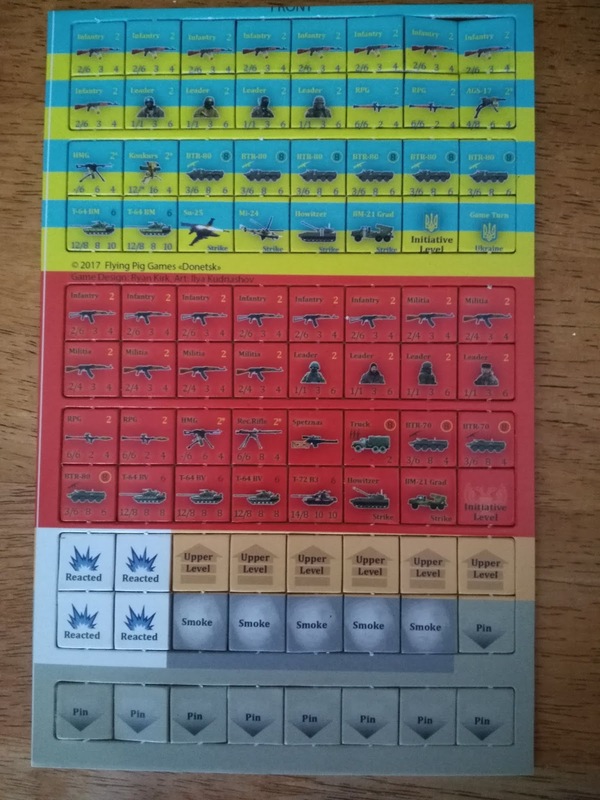 One thing that the wargames from magazines had over boxed games is that it seemed like the publishers would go out of their safety zone with these games. Meaning that we would see a lot more battles, and especially obscure ones, than we could get from boxed wargames. This was more prevalent in the 1970s and 1980s than now. With the advent of Kickstarter and only publishing games that make the cut now, we have been seeing more obscure wars and battles in the boxed game selection. The magazine itself is eighty pages long, and it is in color. The pages do not feel like a normal magazine page. They feel more substantial, like a page from an oversized book. The first article is on Flying Pig Games newest game, 'Armageddon War'. One of the things about its rules is that there is no CRT. It comes with custom dice instead. The articles continue with 'Comancheria' from GMT Games, followed by 'Finnish Civil War' from Compass games. In total there are seven separate articles about different games from different publishers. Next up, we have add on scenarios for several different games. There are three scenarios for Flying Pig Games '65', and one for 'Night of Man'. 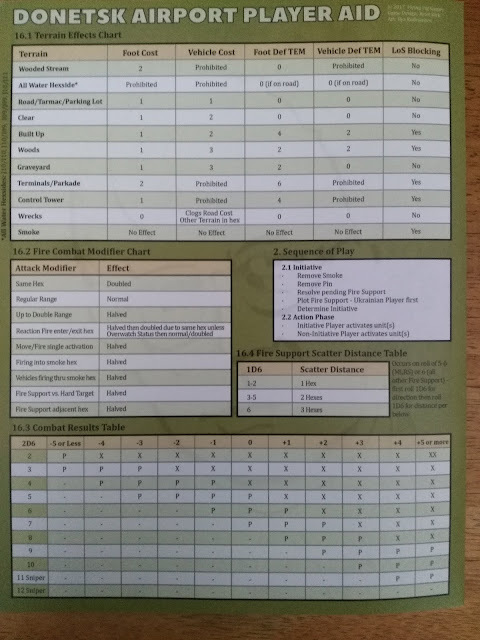 The section ends with six scenarios for 'Command And Colors Ancients', and these are the battles of Arthur. Yes, that Arthur. 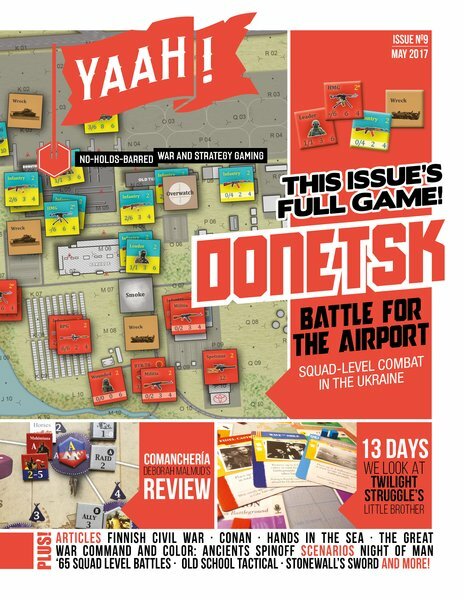 The last part of the magazine is dedicated to this issue's game 'Donetsk'. It is about the different battles for the Donetsk airport. This would be between the Ukraine and separatist forces with the separatists having Russian help. The background history takes up five pages. The actual game rules are another ten pages. This is followed by more than a page of 'game notes'. The game comes with four different scenarios for you to play. The back page of the magazine is a full sized player aid card for the game. The game comes with eighty-eight unit and action etc. counters. The counters are not like Flying Pig Games usual ones. These are thin even by magazine game standards. They are however, fully functional and easy to read and distinguish between. The map is 11x17, and has hexes (without full hex lines) that are marked from rows A to X. 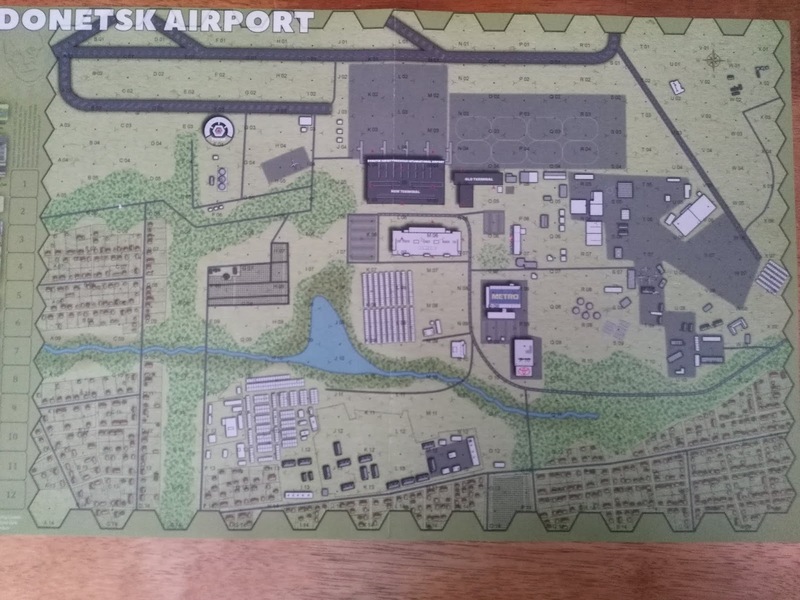 The map is well done and if not a work of art a lot better than some I have seen. Some of the counters are squad size (8-15 men) while heavy weapons and leaders represent three to five men. AFVs and trucks etc. are represented singly. The hexes have a scale of 150 meters per hex. 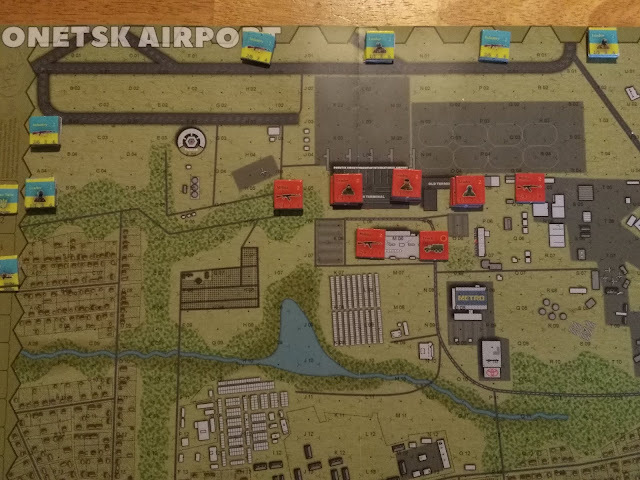 Resolve pending Fire Support from the previous turn; Ukranian player first and the results applied simultaneously. Players continue alternating unit activations until no units on both sides are left to activate. Players cannot pass to save activations, they must activate at least one unit even if the unit performs no actions. The fire support each side will have will be listed in each of the four scenarios. There are rules on 'wrecks' and also on the setup of heavy weapons. There are even some buildings that are multi-level and rules to deal with that. The game was designed to try and replicate modern warfare, so that it takes into account that today's killing distance is much greater than in earlier battles. A player's initiative is gradually eroded by unit loss. So going in guns blazing might win you one of the airport buildings, but then cripple you for the rest of the scenario. Victory conditions for most of the scenarios rest only on capture of some or all of a building's hexes. In all, it is a pretty good little game. Those of us who are used to thinking in sweeping terms, and suffering a lot of casualties will have to readjust their thinking before starting this game. The game gives a good representation of today's massive firepower; in fact, even a small amount of casualties are often seen as excessive in the 21st century (as they should be). Is there anywhere in the UK to get Flying Pig stuff or do you have to get it direct from the UK? Sorry, direct from the US?